It’s a little dated, but here’s my homage to the 2012 Summer Olympics in London. 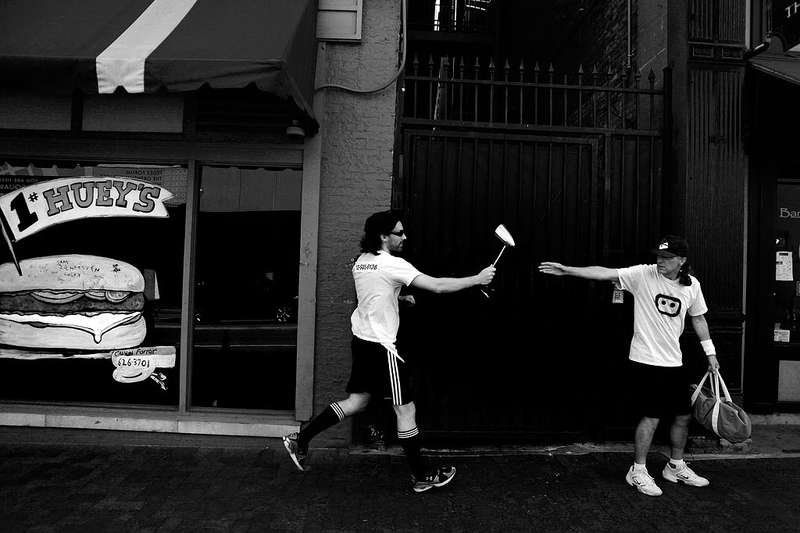 July 26, 2012 – (left to right) Alan Sweet of Sullivan Branding passes a desk lamp to Ralph Barry while they run along Union Ave in downtown Memphis during Sullivan Branding’s office olympics torch run to commemorate the beginning of the 2012 Summer Games in London. Really great photo..love your work! Street photography is really hard to capture, and I think you did a great job on this.